Portland State University, founded as Vanport College in 1946, celebrates its 70th anniversary in 2016. 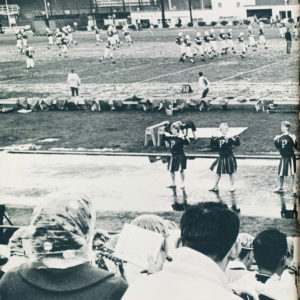 This fall, University Archives presents the ultimate Portland State flashback: the complete collection of Viking yearbooks, from 1946 until 1995, can now be read online, searched, and downloaded from the PSU Library! Leaf through the digital yearbooks online, and visit PSU Archives’ Viking collection exhibit in the first floor elevator lobby of the Library! Portland State students produced the Viking each year as an annual record of campus life, commemorating the highlights of each year in photographs, essays, articles, drawings, and poetry. Today the yearbooks are an invaluable and fun record of daily life at PSU, including academics, sports, politics, recreation, fashion, food, living on campus, and popular culture. The publication began as a traditional school yearbook, with photographs of student groups, college-sponsored events, and portraits of the graduating class. 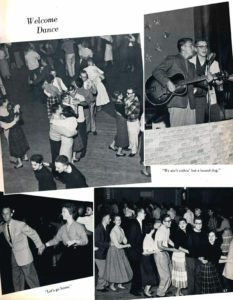 In the 1950s and early 60s, Portland State students appeared in the Viking attending semi-formal dances and honoring their Homecoming royalty. 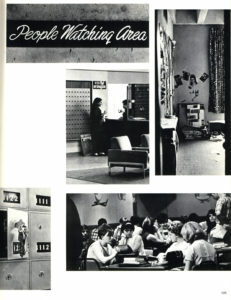 The yearbook’s format broke from collegiate tradition in the 1960s as PSU’s campus and culture diversified and expanded. The Viking‘s images and features show the campus as a busy and growing place during the late 1960s and early 1970s, a site of dialogue, performance, protest, and contemplation. 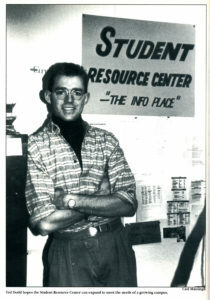 The yearbook was a forum for student writing, occasionally with critical views, and always reflected the college’s deepening connection to the city. 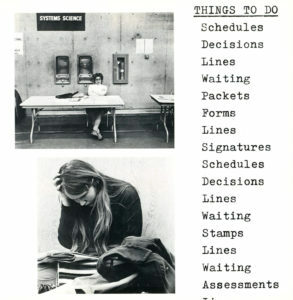 In the mid-seventies, student photographers and writers represented “a year in the life” at Portland State through evocative photo essays and creative narration. The Portland State Soap Opera, for example, does not commemorate which student groups were active during 1975, but it does give a sense of what classes and social life at PSU were like for some students. 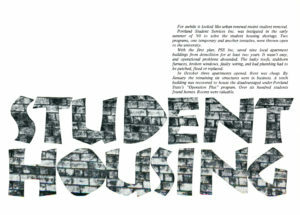 Current students may find by looking at PSU history in the Viking that while some things have changed a great deal on the Portland State campus, some things–building construction, late nights in the Library, full classes, bicycling, cafeteria coffee from the Smith Memorial Student Union–remain the same! 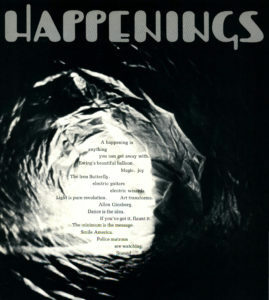 The Viking suspended publication between 1978 and 1989, but resumed during the 1989-90 academic year and continued until 1995, concluding with Portland State’s 50th anniversary. During the 90s, PSU welcomed a new president and a new focus on undergraduate education that included the founding of our University Studies program. Like the earlier annuals from the 1960s, the 1990s annuals feature student groups, academic programs, campus resources, and events, with flashbacks to 1990s popular culture to set the scene. Visit the Viking exhibit in the PSU Library first-floor elevator lobby this fall, read and download the yearbooks online, and see more about the digital yearbook collection in the PSU Magazine!